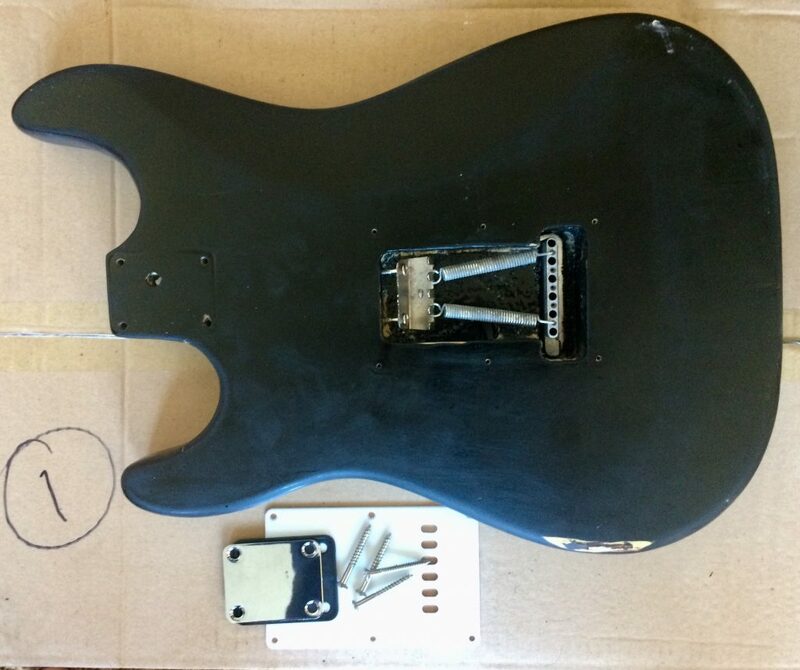 This contoured basswood body is routed to fit any standard pickup configuration. 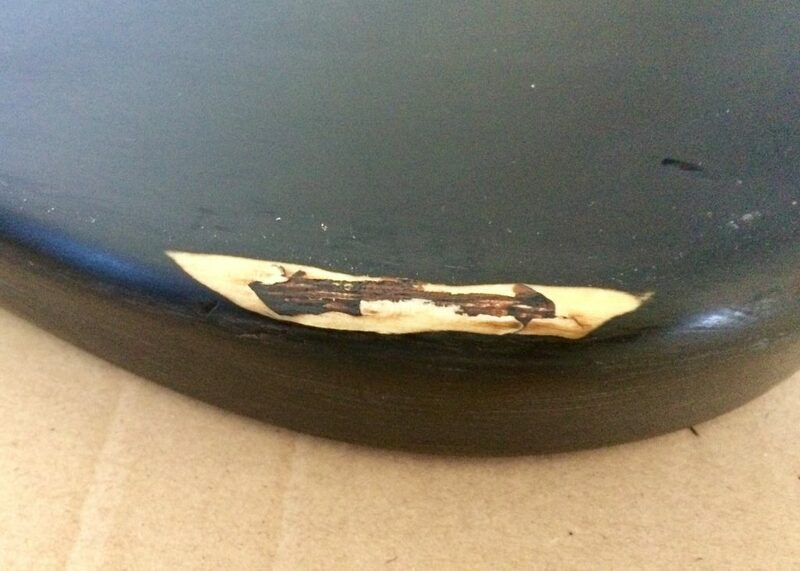 The overall condition is good and has a relic patina - looks vintage, with a matt paint finish. 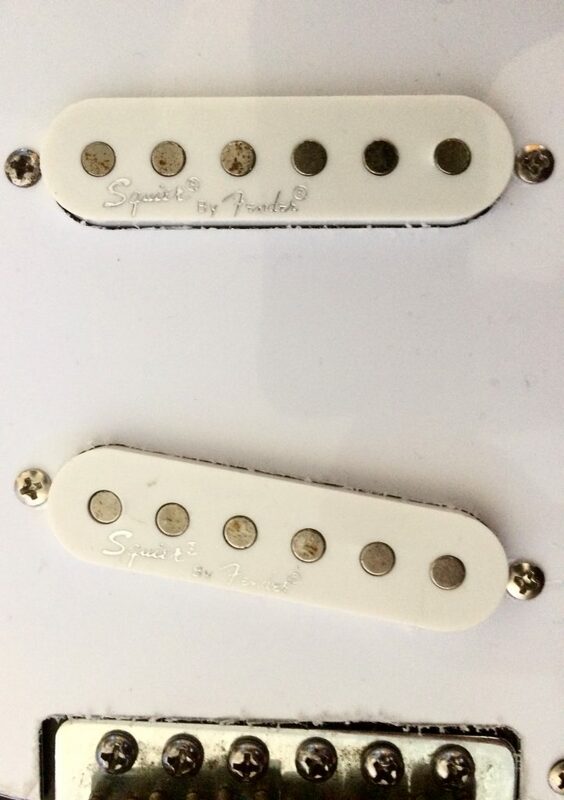 The scratchplate has two 'scripted' early white pickup covers from a Squier and an unscripted one of similar patina, covering a matched set of single coil pickups. 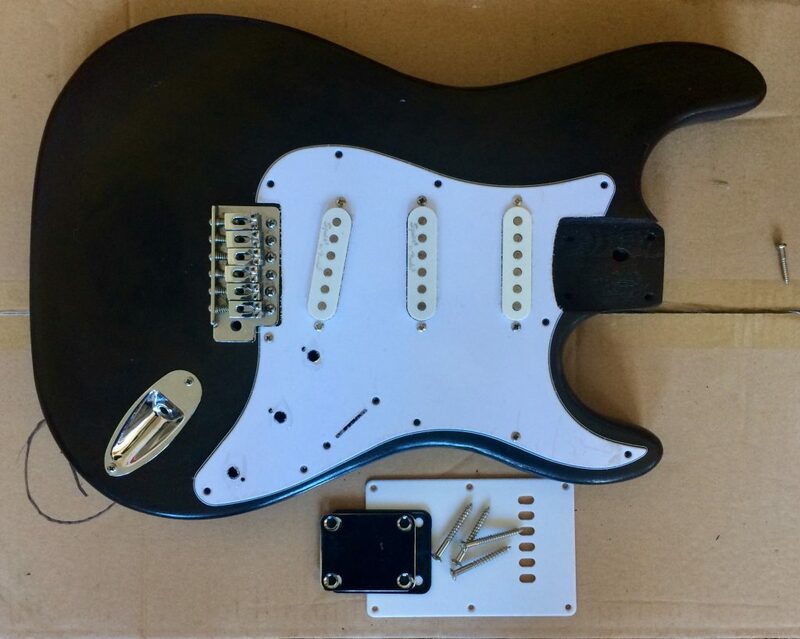 Included in this bundle is a tremolo unit, including: claw, bridge saddles, adjusters and a neck backplate and plastic mount, chrome jack plug and boat, guitar strap buttons (not illustrated in photographs but included) and new scratchplate. 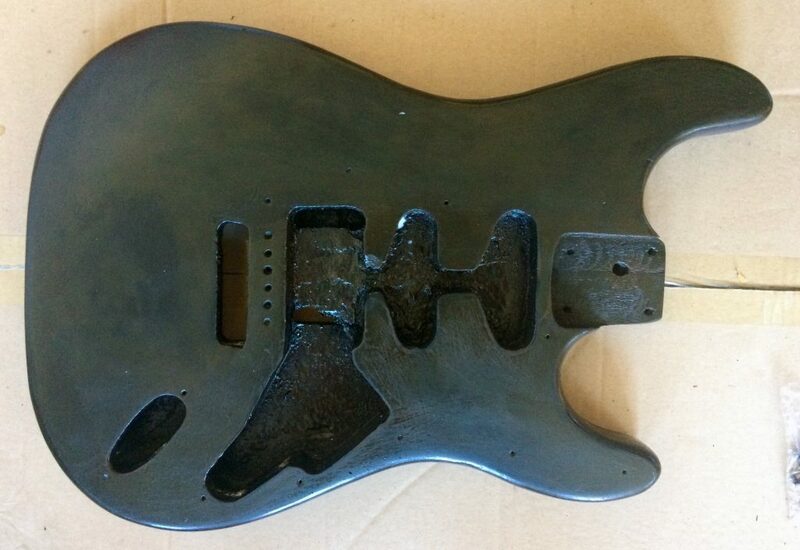 More details on request Email: sales@guitarsalvage.co.uk to make an offer. Please email or call for international shipping.